Is transforming your style part of your New Year’s Resolution? Then we have got the perfect statement accessories and outfit inspiration for you! 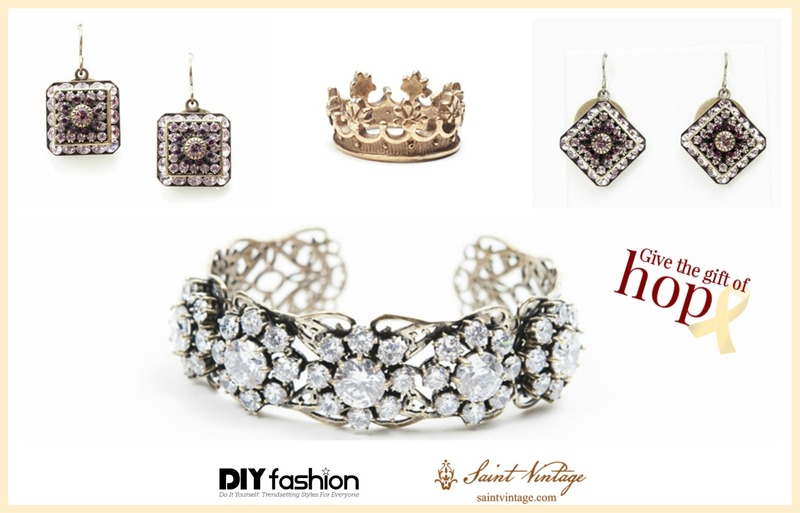 With the help of our fashion blogger friends, we are showcasing new ways that you can style our jewelry for a new year. The girls at Linen, Lace, & Love introduced two very different ways to style one of our most popular pieces: our Couture Antique Heart Clip Necklace. 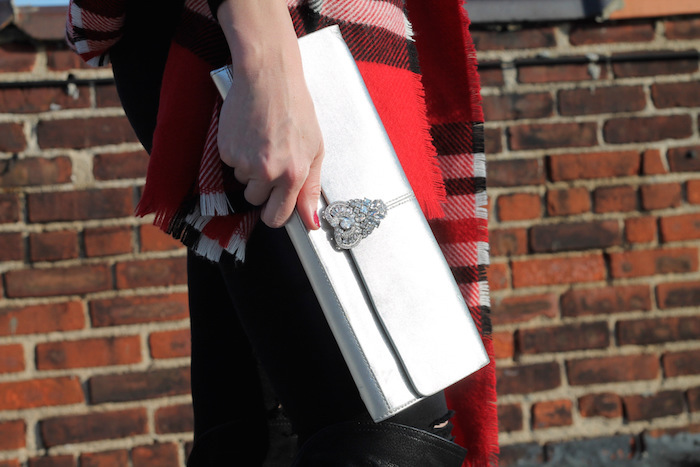 Turn a simple outfit into an extraordinary one when you add your favorite blanket scarf, a unique clutch, and our Clip Necklace. This specific accessory is a necklace that features a removable Swarovski crystal clip. As you can see, they mixed it up by wearing it as a necklace, a brooch on a scarf, and on their bag! The style possibilities are endless. The simple, white tank pairs perfectly with a polka-dotted skirt! Add a pair of heels, a fringe purse, and a fur coat for added fun. For this look, they wore our antique accessory as an elegant necklace! 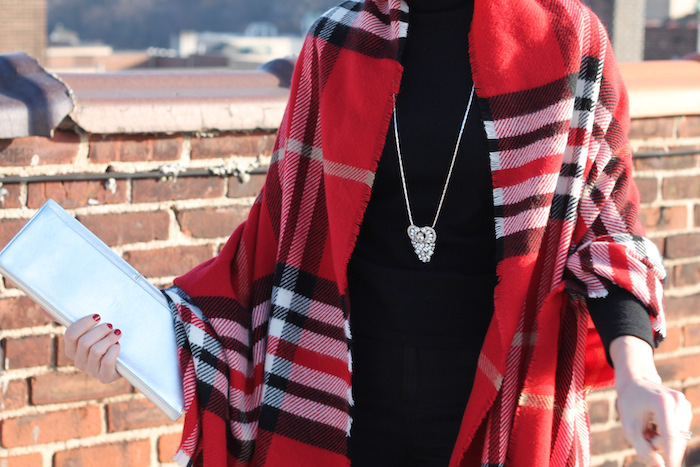 Our favorite fashionista friend, Marta Pozzan, has vowed to make 2016 a successful year. We love Marta’s beautiful, unique style. We were so honored that she chose our jewelry to represent a new year full of life, love, and positivity. Stack on the style with our jewelry for a cause! Shop our full collections here. As always, we want to see how you style our jewelry! Make sure to take a picture of yourself wearing our accessories and tag us (@saintvintage) with hashtag #SaintVintage so we can feature your look on our pages! Here’s to a successful and happy 2016! Thank you for all of your support last year! It’s Friday and it’s Memorial Day Weekend! First, we want to wish our readers a Happy Memorial Day! Don’t forget the real meaning behind this holiday as you enjoy some family fun in the sun this weekend. Remember those who have served and sacrificed their lives! Please thank any veterans or soldiers you know for their commitment to serving our country. Also, we hope that you will be surrounded by your loved ones this weekend! Whatever your plans are, we put together a few Memorial Day outfits that will have you feeling comfortable from head-to-toe. This red, white, and blue striped dress is the perfect look for an outdoor picnic! Stay cool in something strapless and flowy. Grab a pair of red heels, a red bag, and our Ruby Heart Love Drops and be on your way! Or, you can opt for footwear a little more comfortable. Red flats or sneakers would make a great substitute! Not ready for a dress or skirt quite yet? This outfit combination would be our next pick! It may be a little more dressy than what you would expect at an outdoor cookout, but we love the light blue checkered long sleeve shirt underneath a red blazer! Tying it up at the side and rolling up the sleeves makes it appear a little more casual. But you’re going to need a little eye candy for your arm! How about our Amelia Love Links? Bright blue beads (with a pop of orange sparkle on the charm) will make you stand out! Or, you could always go for the jeans and tank top look! Simple, comfortable, AND trendy all-in-one. 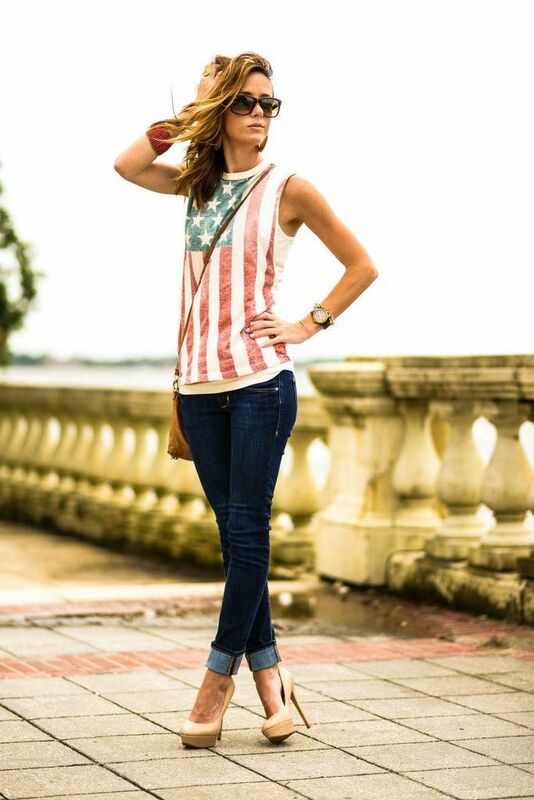 Our Lilly Love Strand would go perfectly with an American Flag tank top! Again, you don’t have to wear such extravagant heels either. Beige flats or white sneakers would be a great addition! 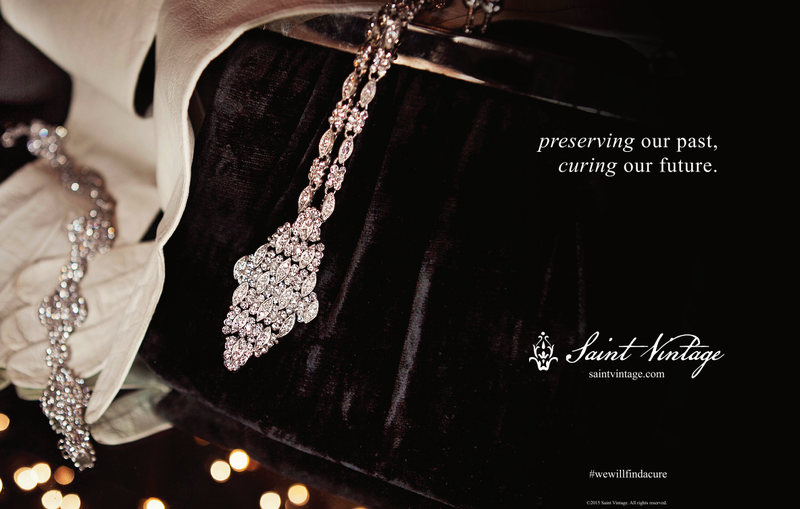 When you buy your accessories from Saint Vintage, you are also donating 50% to cancer research! Right now, when you spend over $50 or more on our online store, you can get $10 off! 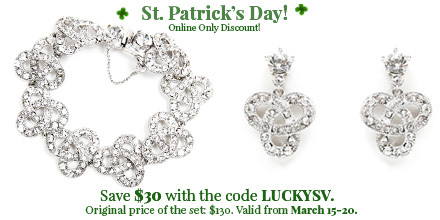 Just use code SV50 at checkout. Happy Memorial Day from the Saint Vintage team!